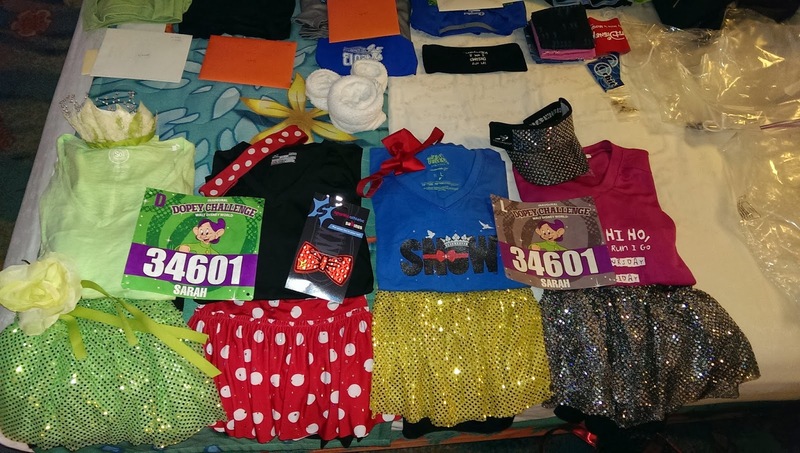 Sparkly Runner: Walt Disney World Marathon Weekend 2014 Day 1- The Expo! 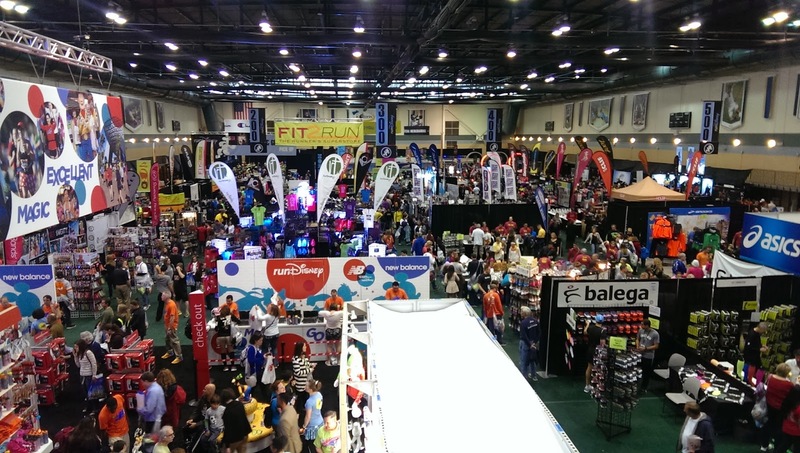 Walt Disney World Marathon Weekend 2014 Day 1- The Expo! When we arrived in Walt Disney World last Wednesday, we checked into Art of Animation (AoA) and headed straight to the Walt Disney World Marathon expo. 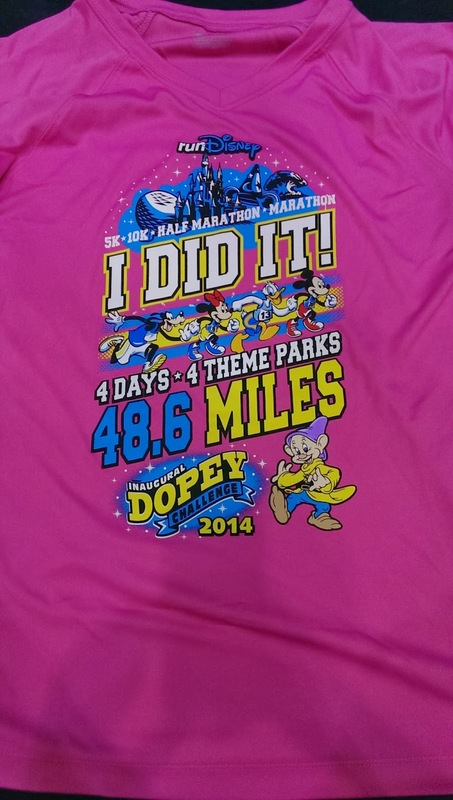 Matthew wanted to get a pair of the limited edition New Balance shoes (Goofy) and I wanted to check out the official Dopey Challenge and marathon merchandise. Just as we were boarding the bus (when you stay at WDW Resort, you get free race weekend transportation to all events), runDisney tweeted that all the New Balance shoe appointments were given for the day and no more would be given out. This was 11am. New for this year, you had to wait in line to get an appointment time to then come back and try on the shoes. 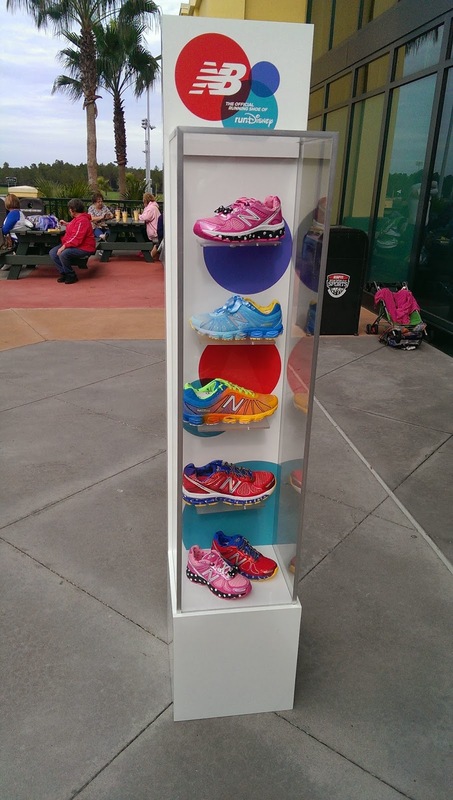 RunDisney and New Balance rolled out this new process in an effort to allow all runners a chance to get the shoes without selling out. Needless to say, since this was the only day we were visiting the expo, Matthew was pretty bummed. One of the advantages of staying at AoA is that you are just a few miles from ESPN's Wide World of Sports, where the expo is located. 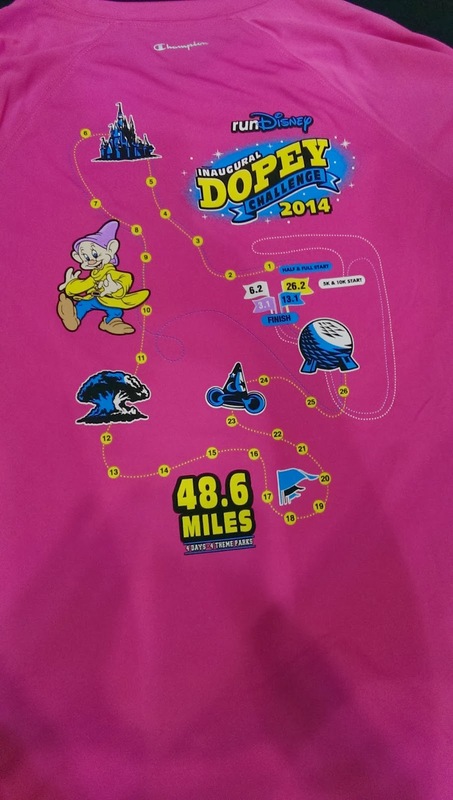 This year runDisney used several buildings to distribute packets, race shirts, and vendors. Because Matthew and I were doing the Dopey Challenge, we headed into HP Field House to pick up our race packets and all but one of our race shirts. Kid's races and the individual races had packet pick up in different areas. We picked up our packets including our two bibs (one for the 5k/10k and one for the half/full) and headed to the Josten Center to get our 5k shirt. We barely had to wait in line for the packets or the race shirts. I needed to exchange my 5k shirt for a different size and it was very easy. Then we went to check out all the official race merchandise. I bought an "I did it!" marathon shirt and a 2014 WDW Marathon Sweaty Band. Matthew bought a 2014 WDW Marathon Bondi Band and a coffee mug. I also picked up a few things for a friend who couldn't get to the expo until later. Overall, I wasn't that impressed with the Dopey merchandise. The "I did it!" shirts had a very busy design and I wasn't too crazy about the color. However, there were hardly any lines and it seemed like they had a great deal of merchandise in all different sizes. I think runDisney has fixed the majority of the issues that happened at the Disneyland Half Marathon Expo in 2013. Not a fan of this busy design on the front of the shirt. After we checked out our favorite vendors and made our purchases, we headed back to the hotel. I ended up buying a Sparkle Athletic visor, a pair of Minnie-inspired "shwings" for my 10k costume, a Flip Belt, a few Sweaty Bands, and a 26.2 magnet for my car. Overall, the expo seemed to be much more organized and enjoyable than we expected, especially after some very long lines as the past few expos. 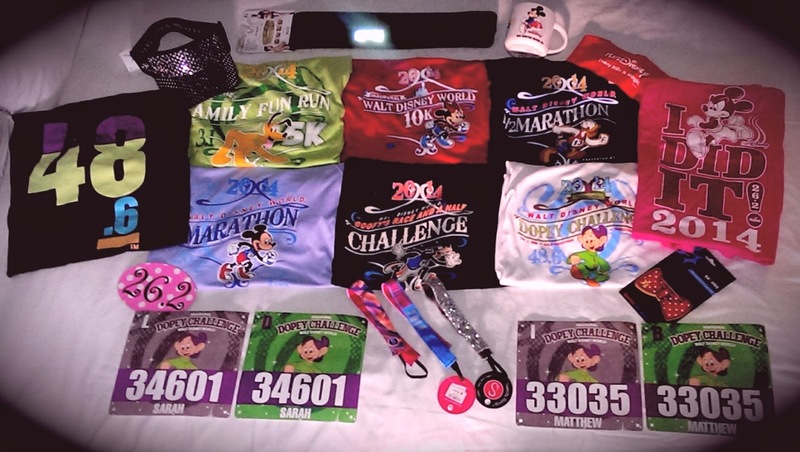 Once we got home from the expo, we laid out each outfit for each race and were in bed super early - 7pm- because we had a 3am wake-up call the next morning for the Family Fun Run 5k! I was really irked about the shoe thing. I didn't even get there until six pm, so it was way past the point of availability. They really need to find a better way to get the hoes distributed. Yes, I agree! Not a fan of this new system! My post about the 5k will include some more interesting things we learned about this new process. gotta have that 26.2 sticker! !